Is 35 By 35 Possible? This week I will be turning 33 and it’s made me come up with a new goal. It’s an ambitious goal. Maybe too ambitious. But you never know until you try, right? I’ve been pretty fortunate. I have been able to travel to a lot of places, and for that I am very grateful. So far, I have been to 27 countries. I have a Word document that I happily update every time I come home. And I’m not in any way trying to brag or anything, I’m just OCD like that and I like to keep track lol! It’s been over 10 years since I first visited and fell in love with Spain. And I’ve never really necessarily had a bucket list per say. I’ve always said I want to see everything and go everywhere. Besides, for every place I go, I end up hearing or finding out about 2-3 more places I want to go. So my bucket list would be never ending. Abseiling in South Africa, enjoying the tulips in Finland, and exploring the Scottish Highlands. In the last two years I have made travel a priority, but I believe that setting a goal and developing a plan will push me even more to go out and explore this world. 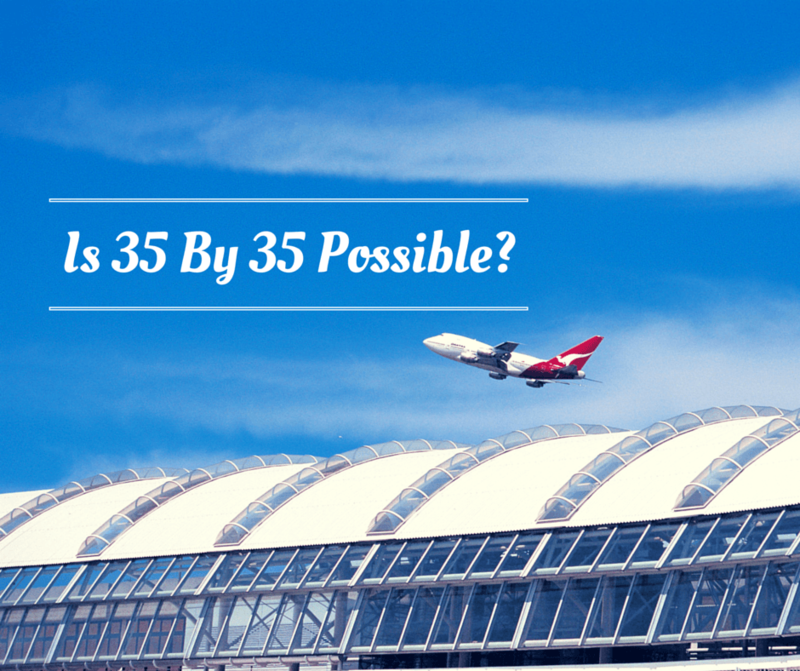 So in this post I am officially declaring that I want to have visited my 35th country by the time I am 35. That gives me 2 years to visit 8 countries. I’m not sure which countries exactly, just that Iceland will definitely be one of them. But I like the idea of putting this new goal out there, for everyone to see. It will push me that much harder to make it happen. Cruising around Lake Atitlan in Guatemala. I know not everyone is a fan of “country counting” and I’m certainly not going to go somewhere just to say I’ve been. I travel to learn and grow and experience new cultures. This is just going to be my way of keeping focused and keeping myself accountable. Good luck! I think its a great goal to have, and help to create new travel deatinations! Sure, it’s possible!! Do you have many Central America countries on your count already? If not, there are so many quick and cheap flights from S Florida for some awesome long weekend trips that can help add a few countries to your count. Colombia too. You got this! Happy birthday! Totally doable – especially if you head towards Europe! If there’s a will, there’s a way – I think you’ll make it! Definitely doable, Vicky! And I must say a big YES to Iceland! It’s one of my dream places and I also want to visit it before I turn 35. Having a goal like this makes travel even more exciting! Sounds like a great goal to me. You could get them all in one trip or two for sure. Dont forget to enjoy the trip and enjoy the countries for what they are! I think your goal is definitely attainable and also reasonable. I have been traveling internationally since age eleven, and lived in Mexico, Chile, and Paraguay during my teen years. With the addition of Iceland and the DR this year, my country count is at 28. At age 57, I have not traveled as widely as I would have liked, but I have definitely traveled deeply. I have decided at this point in my life, rather than set country count goals, to follow where the road leads and enjoy the ride. Good luck on reaching your goal, Vicky! I think it’s very doable, you love travel and I’m sure it will be easy for you. I can’t wait to see the list of countries you are thinking about. Good luck! Oh, I am sure you can do eight countries! Just make sure you don’t miss out too much by trying to achieve your goal! Yes, definitely! Thank you Fiona! Eight countries is definitely doable within the next two years, especially if you are based out of the Miami area. You could probably hit up 4 different Caribbean islands over a 2 – 3 week period one year and then 4 in another, for example. Good luck in achieving your goal! Thank you Ray! Great suggestions! Aye, it’s certainly doable. It’s just a matter of prioritizing which goals you want and aligning them with your plans. For example, if you want to take advantage of those super fares during off-peak season, that’s “aligning” and even taking advantage of work holidays to stretch your time off is planning ahead.